Our organisation realized several successful programs in 2011. In the framework of the the European Voluntary Service eight young people arrived to our association (from Transylvania, England, Portugal, Spain) and were helping us to create different communication products. Together with our partners we realized a democracy project entitled “Vox Iuventutis”, in which 30 young people were participating from Debrecen and Oradea. First they were exploring the mechanisms of the local governments in Oradea and Debrecen. Later the media literacy was getting into their focus. Following the seminars we prepared ourselves in a camp in Hortobagy for running a democracy stage and an “I have an opinion!” tent at the Campus Festival. 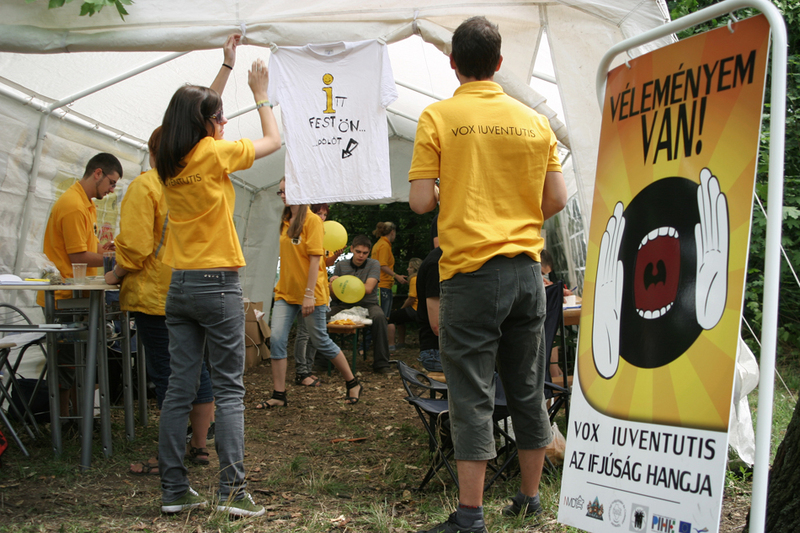 Together with our partner from Oradea we prepared a TV series by involving national and international volunteers. In the 12 episodes we present the natural values, the architecture, the traditions and the gastronomy of Hajdú-Bihar and Bihor counties.The episodes are 30 minutes long each and they were broadcasted by more than 30 local TVs in Hungary and in Romania. As part of the program our communication team started to prepare more and more animations too. In the framework of the Communication Without Borders Plus project we organised settlement marketing and communication trainings in Debrecen and in Oradea too by involving and training more than 60 NGO workers. We organised a multiplier training entitled “Straight Forward ” to introduce the Youth in Action Program (YIA) to other NGOs and youngsters. We also helped them to plan and implement their own initiatives. We finished the filming of the YIA video clips. These video bits were presenting the sub-categories of the Youth in Action Program in a playful way. We were participating in several youth exchanges. First we were in Debrecen – Without Words, and later in Baia Mare – Empower Forward!. Of course we were filming in both activities. We organised different communication trainings and started development processes for young people and NGOs in several settlements in the North Great Plain region. We prepared introductory videos and 1% personal income tax fund-raising spots for several NGOs around. We documented several smaller or larger youth events with photos, videos and animations. We had a lot to do this year too, and they could not have been implemented without our great volunteers and partners. Thank you! The ended the year again with a fantastic Santa Claus party and a promotion activity at the annual EVS Live event.